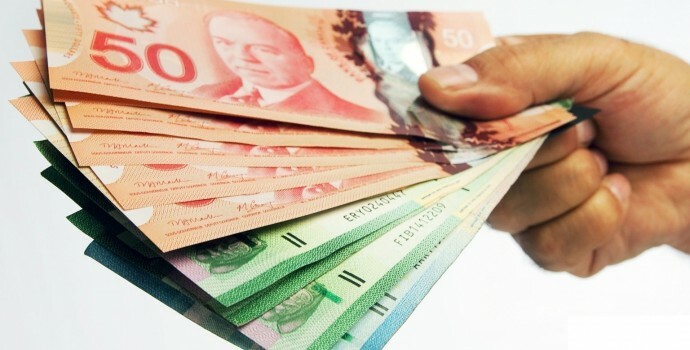 Payday loans are quite popular in most of the Canadian provinces. Payday loan allow you to get instant cash in hand for a small period of time probably two to four weeks. Mostly lenders offer you a time period till your next paycheck date. There are several payday lenders in Canada, they work both online and offline. You can choose to apply either online or offline. Manitoba is one of the provinces with restrictive rates of interests at 17%. Most of the other provinces in Canada excluding Quebec offer an interest rate that falls between 21-23%. So if you are in Manitoba, you have an advantage of borrowing payday loans at a lower rate as compared to other provinces. This mean the annual rate of interest for Manitoba would also be far less than other states of Canada. 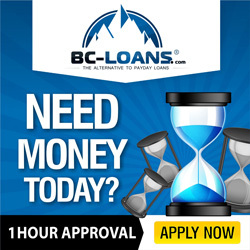 A payday loan allows a borrower to take loan up to $1500 and the maximum amount of time for which it can be borrowed is 62 days this kind of loan is short term loan and has to be paid back often within a period of 2-4 weeks as compared to other options of borrowing money. Also the amount has to be repaid completely and cannot be repaid in installments. In order to become an authorized payday lender in Manitoba, one needs to get a license from the provincial government and as per law they have to display their license on their store. Also the rate of interest offered by them has to be displayed or listed on their store for people to see. A lender can also provide payday loans and also sell other services and goods at the same time like pawn broking, retail products and income tax rebating. In Manitoba no payday lender is allowed to exchange, give or provide any of the services without a valid license from the government. Even the online lenders need to be licensed and if you find any lenders offering payday loans without a license then you must avoid taking loans from them as they may offer higher rates of interest and the consumer protection rights will not apply if you take loans from such lenders who are not authorized. The amount that you can borrow will depend on your monthly income for the previous month on the calendar. Also you need to be working at a job for over 3 months to be eligible to get payday loans. The above formula is used by all the lenders to calculate the amount you can borrow as a payday loan. The amount you can borrow is maximum 30% of your total pay. The payday lenders is not concerned with your credit score and will generally not consider it while offering you payday advance, due to this reason, people with bad credit score or those who are ineligible for other forms of loans usually end up taking payday loans. MNI in the formula implies net income for the previous paid month on calendar. It includes total of all the income sources that you got during that month subtracting all deductions. MNI in the above formula implies net income for the latest previous month on the calendar in which you got your pay. It is calculated by totaling all your income sources you received during that particular month, minus all the deductions. So if you net pay is $1000 then you will be able to take a payday loan of $300 as per the formula. You can even renew your payday loan after repaying the first one. In order to take another loan from the same lender you need to repay the first one. Without repaying the first loan you cannot be eligible to take another payday loan as per the Payday loan act. Also any extension of repayment time will be accompanied by extra penalty that is mentioned on the agreement that borrower signs before taking the payday loan. It is therefore important that you read all the points mentioned in the agreement carefully before signing it and if you find anything not mentioned in the contract but still charged, you can report about it. Ministry of consumer protection of Canada has made several rights and laws that protect the consumers against the cons of lenders. They keep a regular check on their activities so that they do not charge their borrowers any extra cost and keep everything transparent. Make sure that your agreement has all important details mentioned clearly so that you know the total amount that you need to repay and the date on which your repayment is due.